Clearly, the greater the number of companies that explore SEO opportunities, the more sophisticated Google’s algorithm becomes. In 2014, the search giant kept improving its service to adjust it to current browsing behavior and this naturally forced webmasters to reinvent their strategies. Probably the most striking change we are seeing nowadays is a shift to multimedia and multiform content creation that now dominates digital strategies. Suffice to say, SEO as we knew it back in 2012 or earlier no longer exists. Of course, this is not only a result of Google’s constant redefinitions of quality content and backlink structure, but also of people’s increased demand for information availability any time, on any device. Therefore, most of the changes we saw in the industry were related to content creation and marketing, which quite naturally affected search as well. 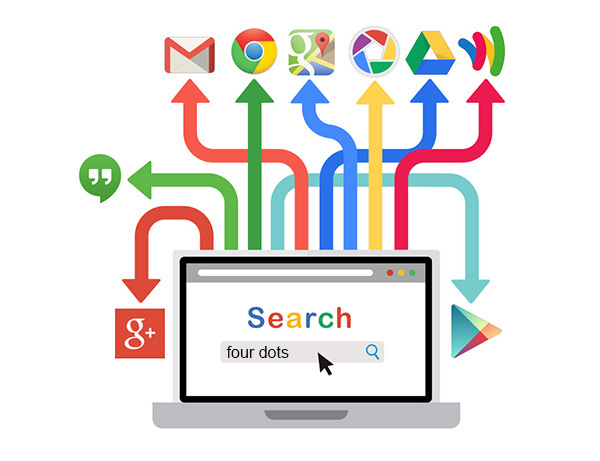 Although certain traditional rules and techniques for achieving better search rankings are still valid, new ones keep emerging. Below we’ll discuss the major ones. The implications that Google’s Page Rank is dead have existed for a while now and most webmasters no longer hope it would ever be updated again. After the last update in 2013, we haven’t seen one in the closing year, which doesn’t leave much space for doubts. However, since the company never issued an official statement that buries Page Rank for good, the discussions about its destiny remained alive. In a recent Google Webmaster Central hangout, John Mueller yet again stated that Page Rank would probably never be updated again. Some took this statement as the final answer to the burning question, while others kept wondering why the company never officially close it. From what is presented in the video, it may appear that a vague possibility of a future update still exists. However, this certainly doesn’t justify further reliance on PageRank only. Although this has always been a handy metric for SEO companies to define backlink quality in a meaningful way, PageRank should never have been a sole factor of quality off-site optimization. Without it, some strategies may no longer seem as efficient, but this doesn’t mean all backlinks will be equal from now on. After all, the focus of any content strategy should be on relevant content and relevant sites, where clients can get enough exposure in the industry and in front of their target consumers. In addition to these basic guidelines, Google provides different resources where webmasters can check how a website performs on mobile platforms. Obviously, efficient mobile optimization is becoming the critical factor of success, so it’s unsurprising that Google too is paying more attention to this aspect. For web developers, this means additional tweaking and testing, while the websites are likely to see more traffic and potentially increased conversions. Back in August, Google decided to push the issue of cyber security up the priority list in the search world, announcing that websites that use secure, encrypted connections would be favored by the search engine. Given the general sensitivity of the issue, it is reasonable to see Google investing efforts into making the Internet a safer place. The introduction of https as a ranking signal stems from the company’s dedication to “https everywhere,” which was announced on the 2014 I/O conference. Apparently, Google decided to encourage more webmasters to use standard internet protocols over SSL. Even though this is already a lightweight signal for the engine, Google intends to make it a more relevant one in future. Below is a more detailed explanation of how and why they plan to do this. Again, for most webmasters this noble step will bring a set of new website tweaks and tests. This may become an exhaustive task in the organizations that do not assemble large in-house IT teams, but is still an undertaking worth the investment. As discussed by Search Engine Land only a few weeks ago, Google recently started showing links to social networks other than Google+ in schema results. This update seems to have been tested back in January when such results could be seen only for certain people. 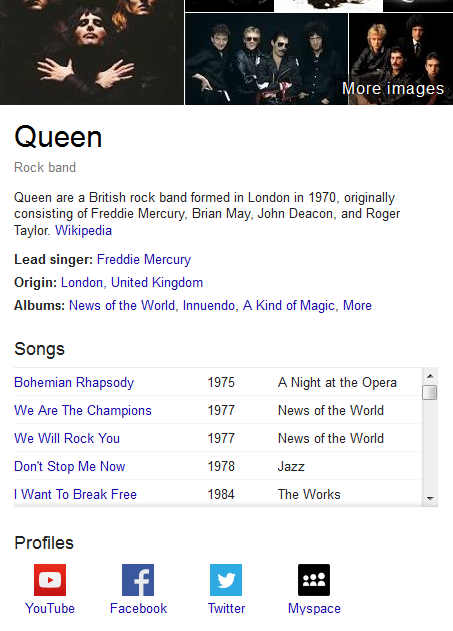 Today, Knowledge Graph displays most active social networks related to a query, but only for some major names. It is interesting to note that this is still displayed only for some influential people or bands, but not for companies or brands. For example, no official social pages are shown for Coca-Cola, but this still doesn’t mean some day they won’t be shown in a similar fashion. Of course, this might be a huge step for businesses that aim to expand their social presence and increase brand awareness through social networking. Even though social networking is seen as a critical activity in digital marketing, it has never directly affected search results. For what we know, only Google+ pages may have something to do with better search positions in one way or another. Now that Google seems to have decided to stop favoring its own social network over the others, a new era of social networking may well be at our doorsteps. Removal of authorship markup means influential bloggers will lose traffic? Over the last three years, Google authorship was a valuable search cue for many users and bloggers. Undoubtedly, the display of author data helped the most dedicated bloggers drive traffic to their websites and establish themselves in their respective niches. 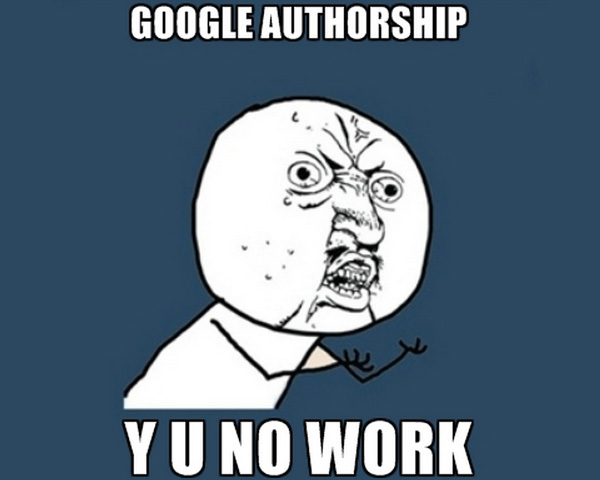 However, in August, Google announced they are cancelling Authorship for two essential reasons. As John Mueller explained in an interview for Search Engine Land, these are 1) the fact it didn’t provide too much value for end-users and 2) low-adoption rates by bloggers. As the Search Engine Land study further suggests, the latter is certainly justified. Namely, it seems that only 30% of active bloggers did implement the markup properly, while 70% either did it wrong or didn’t do it at all. Interestingly enough, once the authorship tag was removed Google+ posts from users’ connections started looking the way Authorship used to look like. Yet again, it seems that Google is pushing their own social network in order to force more people use it actively. Whatever the actual motivation behind the step, it will certainly make quite a few changes for bloggers that have been seeing some CTRs as Google established writers. All the others may just need to keep using Google+ to get in front of more faces. Those who still haven’t adopted the network should plan to do so in near future, as we may expect from Google to keep pushing this idea. As opposed to most other changes, this one was obviously not intended to fight spam, but rather deliver smarter results based on users’ location. In the realm of small businesses, this means that they can now achieve greater visibility via listings in Google Maps or portals such as Yelp. 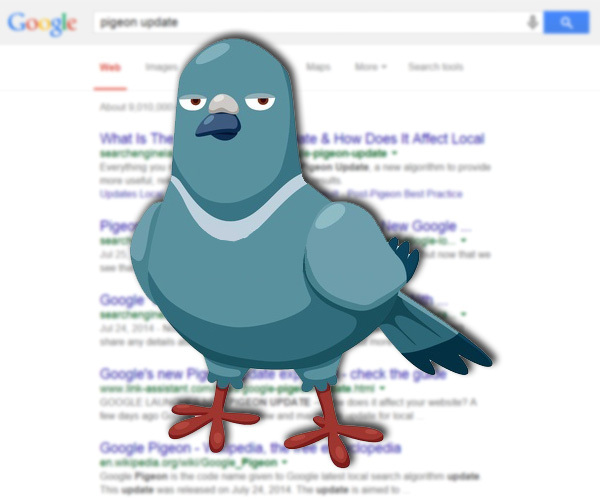 Furthermore, considering the growth of local searches on mobile platforms in particular, Pigeon is quite likely to change strategies for small businesses that work on expanding their online presence via search. Whereas Panda, Payday Loan, Pirate and Penguin algorithm updates used to be seen as the most relevant search updates, today we are seeing some large-scale transformations that affect overall search experience. By adding SSL and social networks to search listings, it is clear that the signals Googlebots want to see from websites extend beyond link and content structure. Given the rise of content marketing among businesses large and small, such a focus from Google may be a welcoming one. After all, as pointed out by Rand Fishkin in a recent Whiteboard Friday, content marketing does have a lot to do with SEO and link building, but is far more than an SEO strategy only. “Well, let’s turn off the SEO on this one and just at least make it nicely indexable and make the links point to all the right places back throughout here so that I’m bumping up their potential visibility,” states Fishkin. Therefore, it may be said that the balance between traditional SEO techniques and innovative inbound marketing strategies may be the key to both achieving great SERPs and driving targeted users to a page.